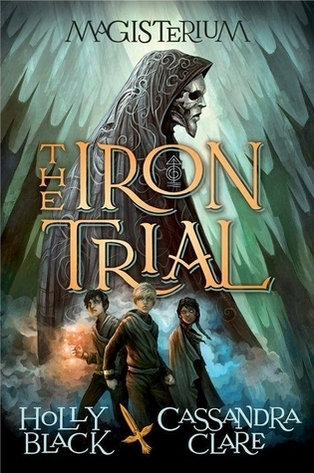 The Iron Trial is a new series by Cassandra Clare and Holly Black. It’s described as a middle grade series but we all know there are some books every age will love. It follows a young boy by the name of Callum Hunt who was raised with the knowledge that magic exists but it is bad and should be avoided at all cost. In this world once children reach a certain age and show magical ability they are sent to the Magisterium where the learn how to protect the world from evil forces. Of course since Callum believes magic only brings trouble he tries to fail the entrance test. Well that didn’t work so now the adventure begins. I loved the writing style even though I was a little skeptical of how the authors 2 voices would blend. There was never a dull moment and I found myself invested in these characters. This book for me was going to be a 4 or 4.5 out of 5 star rating but then the ending came and wow…… Mind blown and what a way to make me want to grab the next book. I rated this book 5 out of 5 stars. Let me know if any of you have picked up this series and what you thought. Happy Reading Y’all!!!!! !